I shot Clover & Old Timber while walking with Osito Contreras. I chose the first exposure for the sunlight falling on some leaves and the texture of the snow over the grass. The second exposure because the red of the berries and blue of the sky made for an oddly patriotic scene. After development, the golden tickle-down effect of the leaves off the rooftop intrigued me, as did the implication of the home being below the waterline. 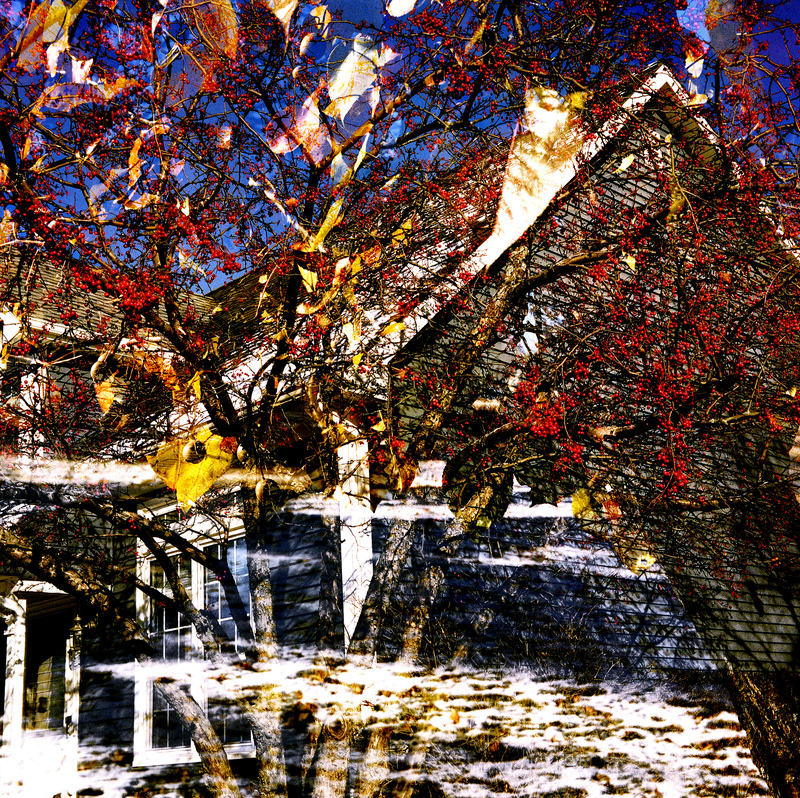 This entry was posted in Creating, Photo of the Moment and tagged artist, arts, Chicago, Chicago suburbs, Clover, Contemporary Art, creating, creativity, Double Consciousness, Double Exposure, Dual World, hoffman estates, Mario Contreras, Medium Format, Oddly Patriotic, Old Timber, Photo of the Week, photography, Tickle-Down Effect, WEB DuBois.